Looking down at the table, it was clear what happened. The server had an exhausted look on her face. Plate after plate she’d brought to the table and even while the number of dishes multiplied, the people at the table did not. We were only three, but when we got to Nunu’s Mediterranean Cafe & Market, we ordered like an army. An army of fat kids. 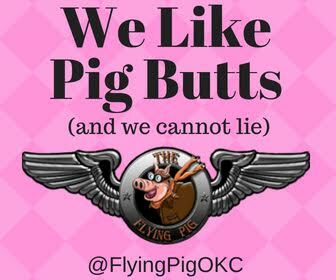 Do you have a favorite restaurant? A place you love, but don’t go to as often as you’d like? That’s Nunu’s for my friends Julie and Kevin and myself. Julie and I talk in hushed tones about the food here, as if hatching a conspiracy that we will dress with Persian salad and shove into a pita. Or maybe your lizard brain is just screaming at you to order more. More! MORE! The lizard brain won. In our hubris, we bought enough food for twice as many people. But at least there were leftovers. There are many things that distinguish Nunu’s, but the one that sticks out most to me is the restaurant’s outright refusal to stock gyros. It’s a bold declaration. Much as I love gyros (and it goes way beyond a meat cone crush), they are the lowest common denominator of Mediterranean cuisine. Oh, honey, if you don’t know about hashwa, then it’s time to sit and hear the story of the most underrated Mediterranean dish around. Ground beef is cooked in clarified butter with rice and spice to create a meaty, luxurious pilaf. On top, they sprinkle slivered almonds for a delightful nutty crunch. 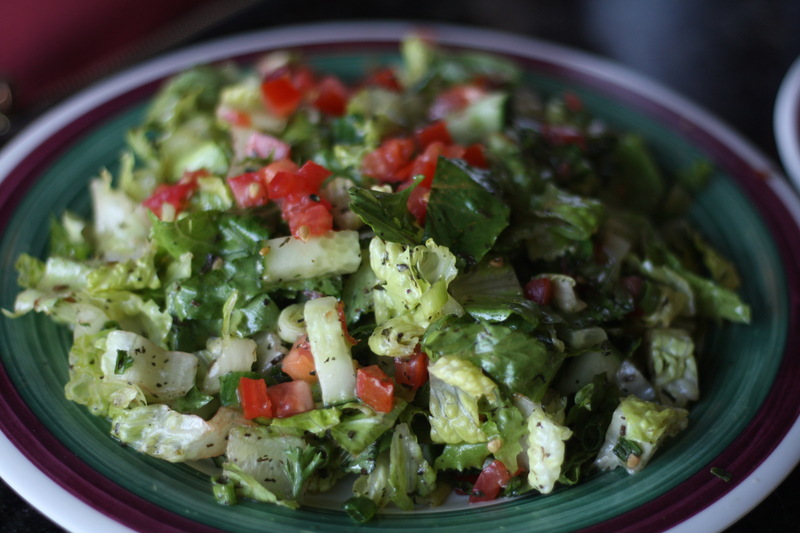 Hashwa is a great side dish. It’s great served under the main course. It’s great in a tub, eaten with a giant spoon, greedily pouring it down your throat in the hopes you can get your fill before anybody else comes in the kitchen. So we’ve established that you’re getting the hashwa. You bound by law at this point. But should you get more? Yes. Two must-have appetizers are the grape leaves (six for $5.99) and hummus ($4.99). People either love stuffed grape leaves or they’re no longer allowed to be my friend. 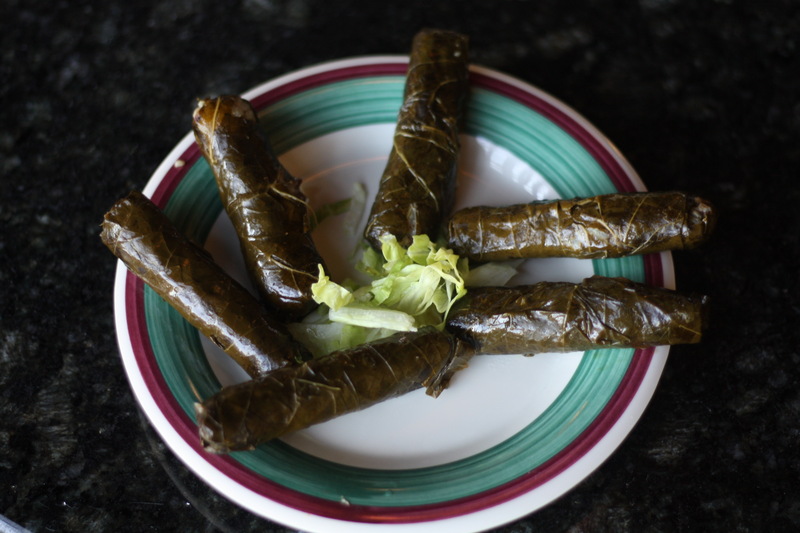 Served chilled, the core is a mix of rice and beef, wrapped up in tender, lightly sour grape leaves. There’s a snap to them that’s addictive. You might be tempted to shove the whole thing in your mouth, but #RESIST if you can. It’s much more satisfying to feel that taut leaf bend and then break beneath your teeth, revealing the tender, savory stuffing. Hummus, or houmos on the Nunu’s menu, is starting to get a bad name, thanks to some very bland grocery store versions. Do not be fooled. This is the real deal with a bite of garlic and lemon juice and lots of creamy chickpeas and tahini to pile on your pita slices. It’s nice to snack on at first, but you’ll want extra to smear on your various other dishes later on. For instance, you can order a falafel sandwich ($6.99) with added hummus or you can just slap it on yourself for that real DIY experience all the kids are crazy about. You know me. If there’s an opportunity to eat an animal, I’ll take it. But even I have succumbed to the charms of these fried balls of mashed and seasoned chickpeas. Nunu’s layers them inside a pita pocket with lots of fresh veggies for a deeply satisfying and still pretty healthy meal. 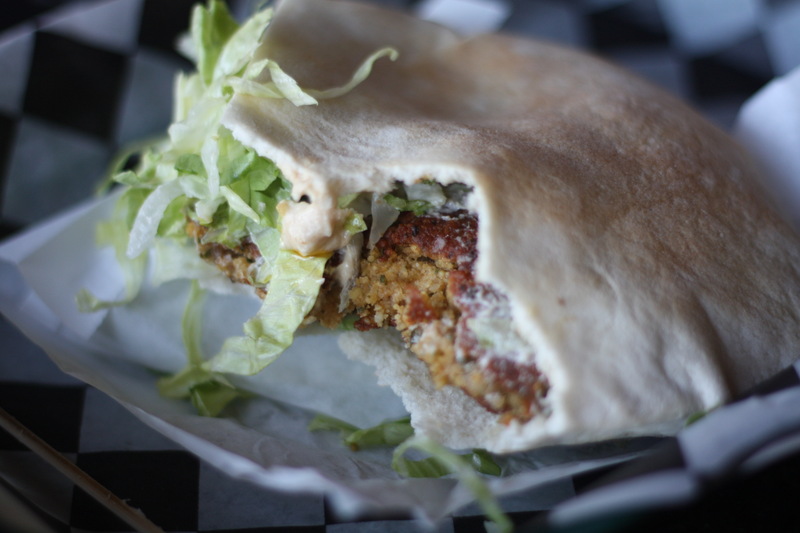 Does adding chickpea dip to the top of a falafel sandwich seem like overkill? Yes. But this is America. We don’t do subtle. Speaking of which, there’s nothing at all subtle about the tenderloin kebab dinner ($20.99). I love chicken and kofta kebabs as much as the next guy, but for steak lovers there’s no other choice than these skewers of tender, perfectly seared beef. 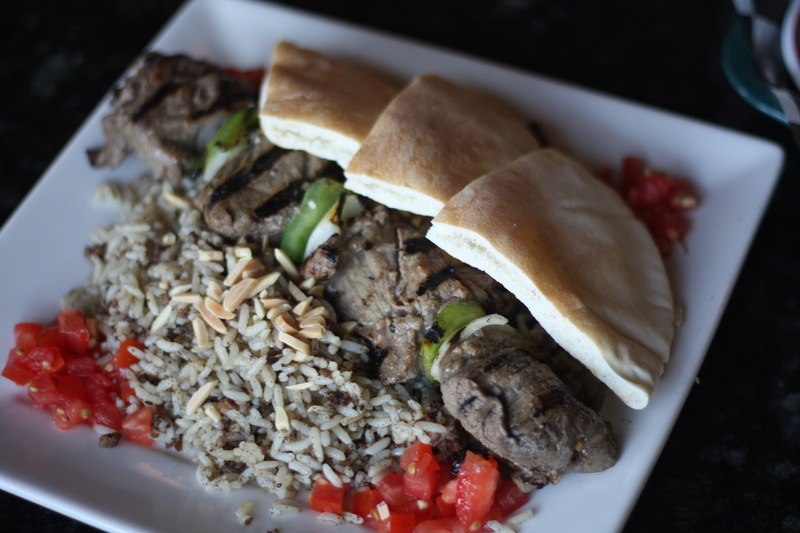 It comes with hashwa, because if you’re ordering tenderloin skewers, they know you’re only going to accept the best. 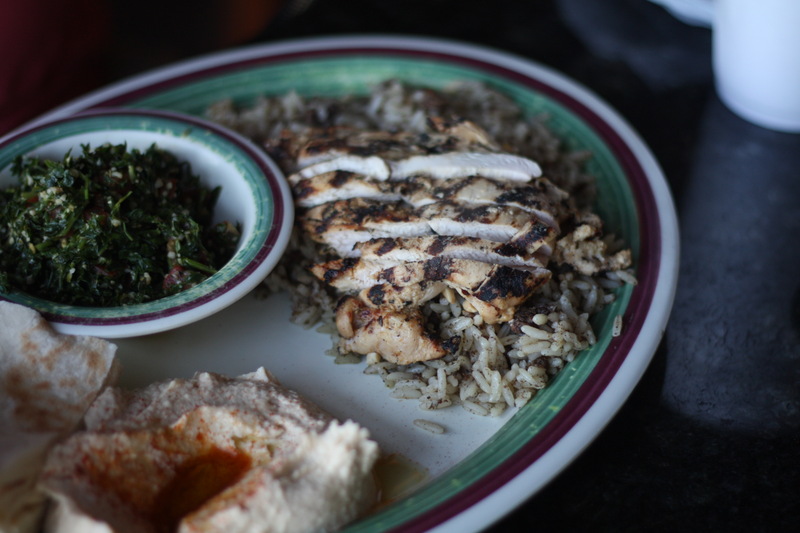 On the side, I recommend the tabouli. The kitchen goes absolutely nuts with the herbs and veggies. There are a few bits of cracked wheat in there, but it’s really a parsley, green onion and tomato salad more than anything. The tart lemon and olive oil dressing gives it a sharpness that cuts through some of the fattiness in the kebab and hashwa. 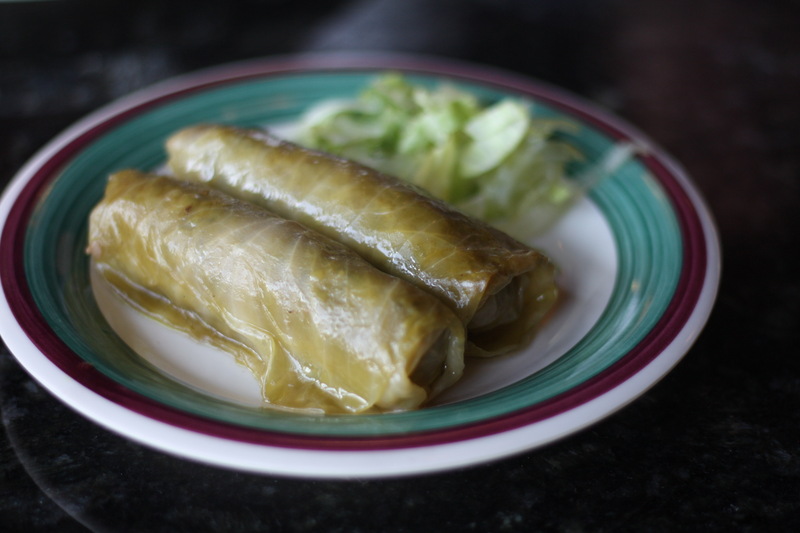 The cabbage roll plate ($11.25) shares a little in common with the grape leaves, in that each roll is stuffed with rice, beef and spices, but cabbage rolls are served hot, with the steamy cabbage leaves tenderly folded and rolled around the stuffing. I am not from a Lebanese family or really a family that identifies with any historical heritage, but these cabbage rolls taste like home. They are just so incredibly comforting and filling. If you want a taste of a bit of everything, the aptly named Sampler Plate ($12.75) is a good start. The one thing it’s missing is beef tenderloin kebabs, but that’s why we’re all friends with Kevin. Kevin will get the kebabs. Kevin will share. He’s a good dude like that. Don’t make the same mistakes as me. Don’t wait too long to go back to Nunu’s. This place deserves to be in your regular rotation.